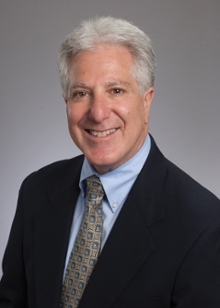 Allan Levey, MD, PhD, is a professor and chair of the Department of Neurology at Emory University's School of Medicine, as well as the director of Emory's Alzheimer's Disease Research Center. He has secondary faculty appointments in the Departments of Pharmacology, Psychiatry and Behavioral Sciences. Recently he answered questions about Alzheimer's for Emory Medicine magazine. Will mild cognitive impairment always lead to Alzheimer’s? No. Mild cognitive impairment is a condition that often progresses into Alzheimer’s or another form of dementia, but it can be caused by many different conditions. Occasionally, it will not progress or may even revert back to normal, depending on the underlying cause. They are not synonymous terms, since Alzheimer’s disease is only one form of dementia. It is by far the most common, however, accounting for about three-quarters of all cases. Other causes include multiple strokes, Parkinson’s disease, hydrocephalus, and many other, more rare conditions. How can someone tell what changes in the brain are due to normal aging versus Alzheimer’s? Changes in normal aging are definite but slight compared with changes in Alzheimer’s, in which there is a massive accumulation of protein deposits (amyloid plaques and neurofibrillary tangles) as well as inflammation as the brain attempts to repair itself. What advances have there been in treatment for Alzheimer’s disease— drugs and/or behavioral—in the past few years? While there have been big advances in understanding the root causes of Alzheimer’s and in our ability to detect the condition much earlier, unfortunately we still do not have a single treatment that can slow or stop its progression. Many new approaches are being studied in clinical trials, and we are very optimistic. Does early detection/intervention make a significant difference? Early detection is crucial for many reasons. First, memory loss can be caused by many things, some of which are even reversible (e.g., medication side effects, depression, or other treatable conditions). Second, the early stages are often misdiagnosed or misunderstood, leading to anxiety, frustration, and despair. Accurate diagnosis and counseling can help the patient and family cope and avoid unnecessary medical visits, procedures, and treatments. Third, to respect personal autonomy, patients and families need to understand the prognosis and plan appropriately for future needs. Education and support can help families address safety issues such as driving, managing medications, and handling finances. Fourth, our ability to treat and eventually prevent the disease more effectively will depend entirely on early detection. We now understand that the disease begins silently 20 or more years prior to the first symptoms of memory loss. Hence, treatments are much more likely to be effective if they can be started early—prior to brain degeneration. Conventional wisdom holds that you can ward off Alzheimer’s by keeping your mind and body active. Is this true, or is it much more about genetics? We know that genetics play the lion’s share in the cause of this disease—70 to 80 percent probably, in later onset. Genes load the gun, but aging, lifestyle, and the environment determine when the trigger is pulled. We believe that other things may modify how rapid and aggressive the disease is. We also know that some people may be more resistant to those pathological changes. Physical activity, mental stimulation, diet, and other lifestyle factors may influence that trajectory. We can’t cure or prevent Alzheimer’s, but decades of modification of those risk factors is likely to have a significant impact. Do you do anything differently in your life because of your research? I exercise more. I have a family risk—my mother and grandmother had Alzheimer’s. I view myself like everyone else. We are all at risk, so it’s important to enjoy life, keep active, eat a balanced diet. I get more than my share of mental stimulation from my job. When you say we need “a big approach” to tackle this epidemic, what do you mean? You don’t always know where answers are going to come from. We have to take an unbiased approach to research, not a narrow view. We have a lot more to learn from genetics. We need to learn more about risk factors. We also desperately need participation of large numbers of people, including healthy middle-aged individuals, to develop methods to accurately predict who is going to get Alzheimer’s years in advance. We actually have a lot more ideas than we have money to test them. What seems promising in the future, as far as drug treatments? Drugs and vaccines to reduce amyloid are the current focus, but we know this approach is most likely to work if we can begin treatments prior to symptom onset, preventively. Our Emory team is leading national efforts to discover new drug targets based on proteomics, the study of complex protein changes that occur at the very beginning of the disease in the brain. Our efforts are central to the national plan as part of the Accelerating Medicines Partnership for Alzheimer’s Disease, a bold venture under the auspices of the National Institutes of Health, with academic and industry collaborators, to transform the current model of developing diagnostics and treatments.